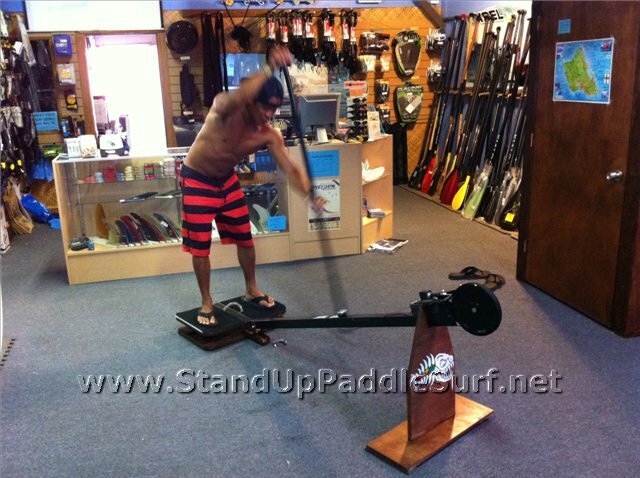 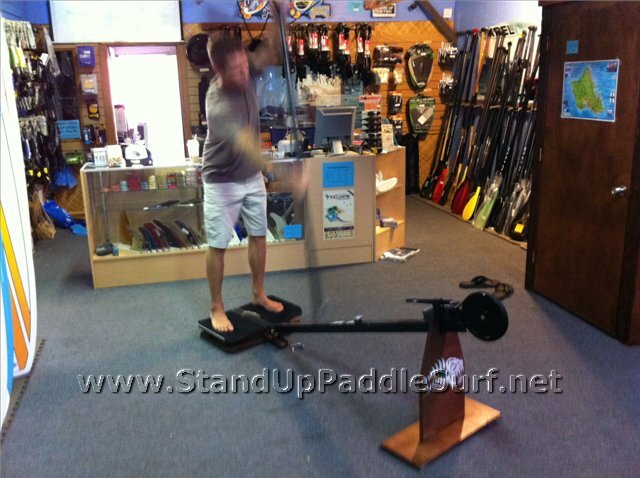 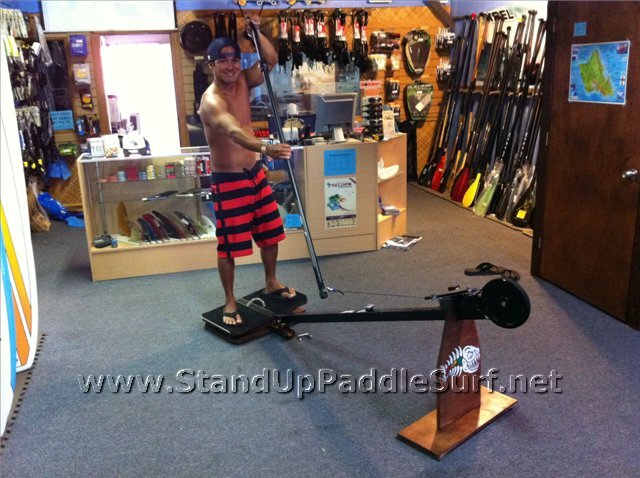 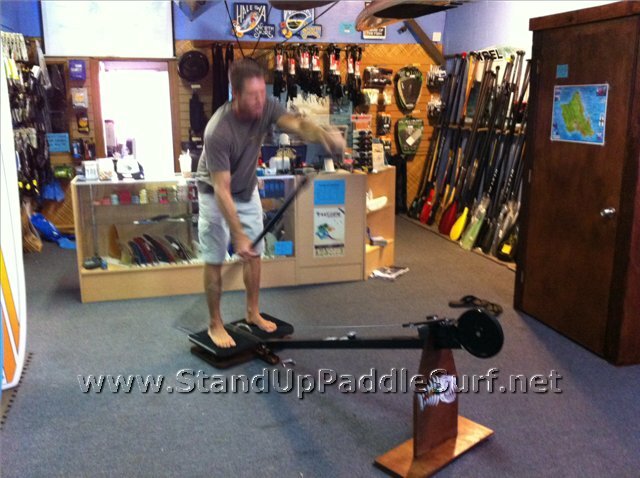 Once again, the paddling mad scientist Robert Stehlik has come up with a new version of an on land stand up paddling trainer. This one is designed to work in conjunction with a SUP video game and folds up for easy storage. 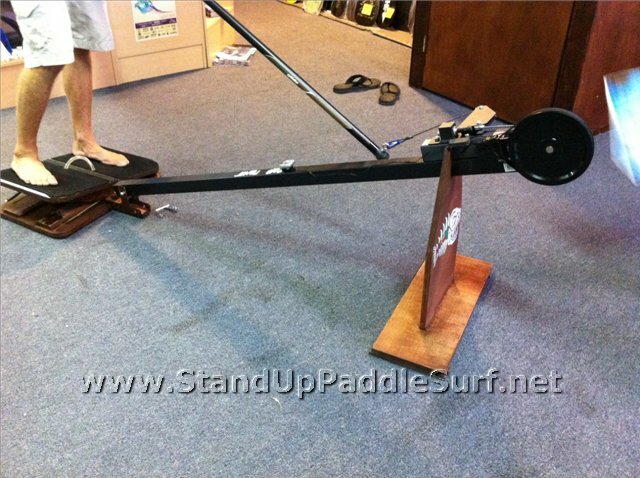 I think version 2 is better than version 1 but if you want to find out for yourself, stop by Blue Planet Surf on Ward Ave in Hawaii and give it a spin. 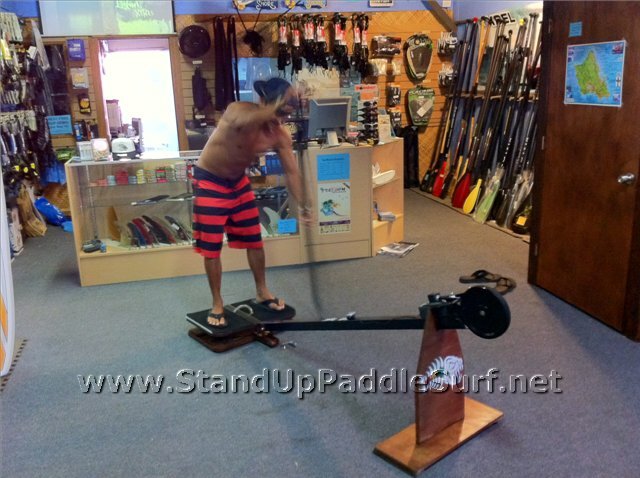 i love the idea and I have been using a concept rower and modified it into my home trainer. 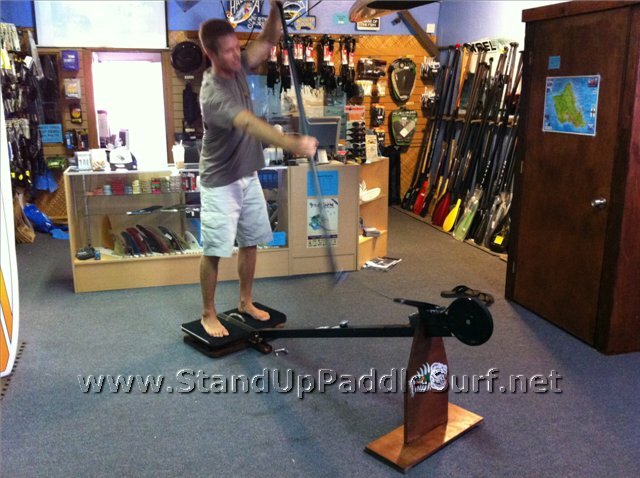 I would love to try and make one of these for my son and I to get him in the swing of things. Where did you get the fylwheel?